Any musician playing from photocopies or printed PDFs will rapidly outgrow the basic score binding method. 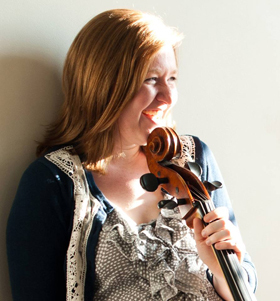 Many pieces simply do not include rests for page turns! In those cases, having three pages on the stand may be the best solution. I remember the first couple of times I attempted to assemble my own trifold scores. Assembling a score with trifolds isn't hard, but I managed to make a few very awkward scores before I ironed out the kinks to my method. So that you can skip past the awkward score phase (think of it as the teen years of do-it-yourself score binding), I've made a video tutorial that will teach you exactly how to add a third page to your scores. As a bonus, there's also an alternative trifold page turn solution that can save you paper. See? Totally doable and very handy! If you're a performer who likes to invest in spiral binding for their scores, you can still have trifolds. Just trim about 1/4 inch off the edge of your trifold page, so it can be tucked in without bumping into the spiral binding. 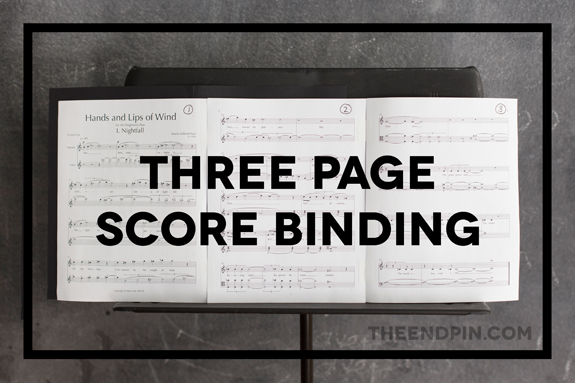 If you have any score binding questions, requests, or additional tips be sure to leave them in the comments!